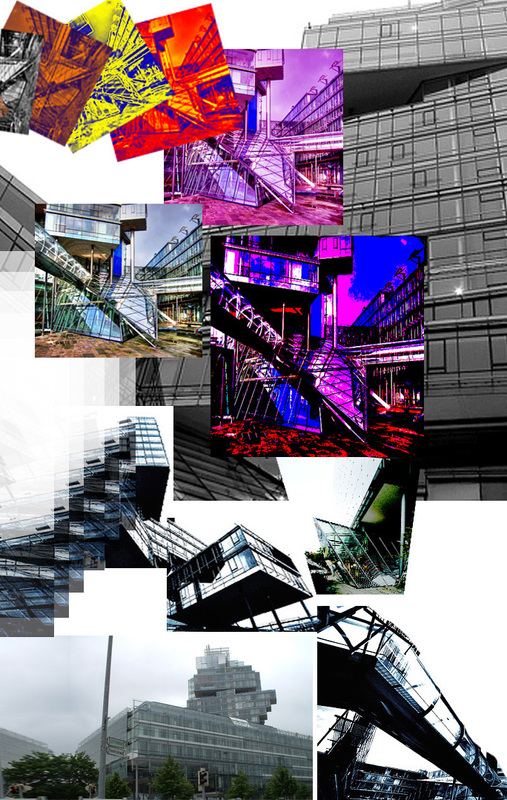 Above is one piece of an exercise I did in 2006 using photos of the Norddeutsche Landesbank in Germany. 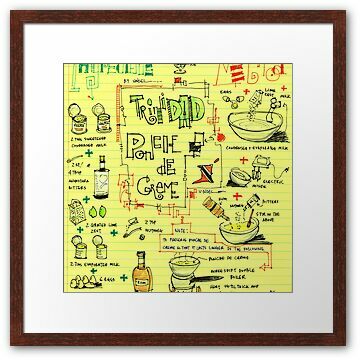 My graphic design skills have improved a lot since then. 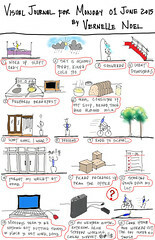 Memories of the building, the exercise, and the place made me happy… so I thought I’d post it. The Norddeutsche Landesbank by Behnisch Architekten,building was completed in 2002, on Hannover’s Friedrichswall, a street connecting the city centre with residential neighbourhoods to the south. The building measures a total of 40,000 square metres and provides office space for a staff of about 1,500. It starts out as a regular platform, from which a seventeen-storey building rises about seventy metres into the air, divided into horizontal blocks set at different angles. 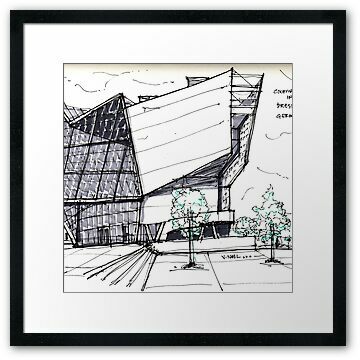 A light coat of steel cables and glass covers the projecting parts of the building: a “stretched flexible structure” of the kind normally used in suspended roofs, capable of resisting tensile stress. 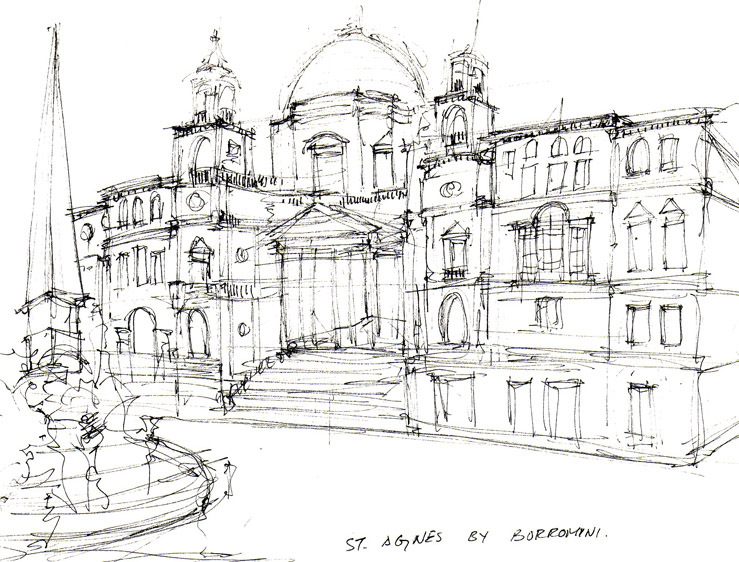 The Church of Sant’Agnese in Agone is a seventeenth century Baroque church in Rome. It sits along the edge of the Piazza Novona in Rome, one of the main urban spaces in the historic center of the city and the site where the Early Christian Saint Agnes was martyred in the ancient Stadium of Domitian. The rebuilding of the church began in 1652 at the instigation of Pope Innocent X whose family palace, the Palazzo Pamphili, faced onto the piazza and was adjacent to the site of the new church. The church was to be effectively a family chapel annexed to their residence. One of Rome’s greatest public spaces, the piazza is the site of the ancient Circus Agonalis. 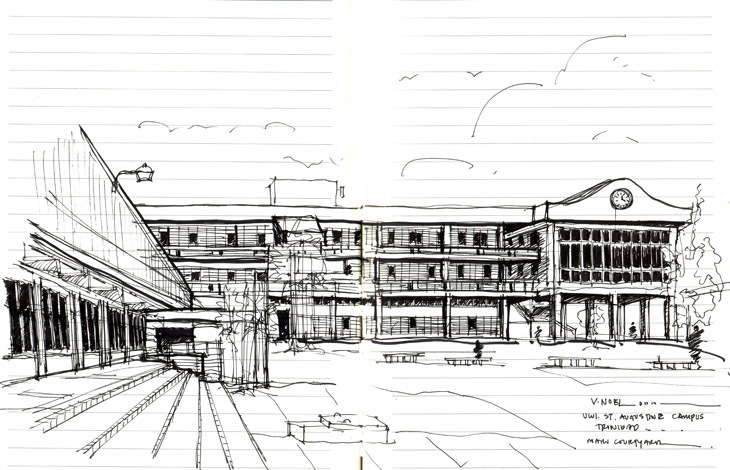 The piazza’s linear, curved-end shape is formed by an almost unbroken perimeter of individual buildings rising from the pavement to modest height in silent agreement as to the nature of the public space they form. 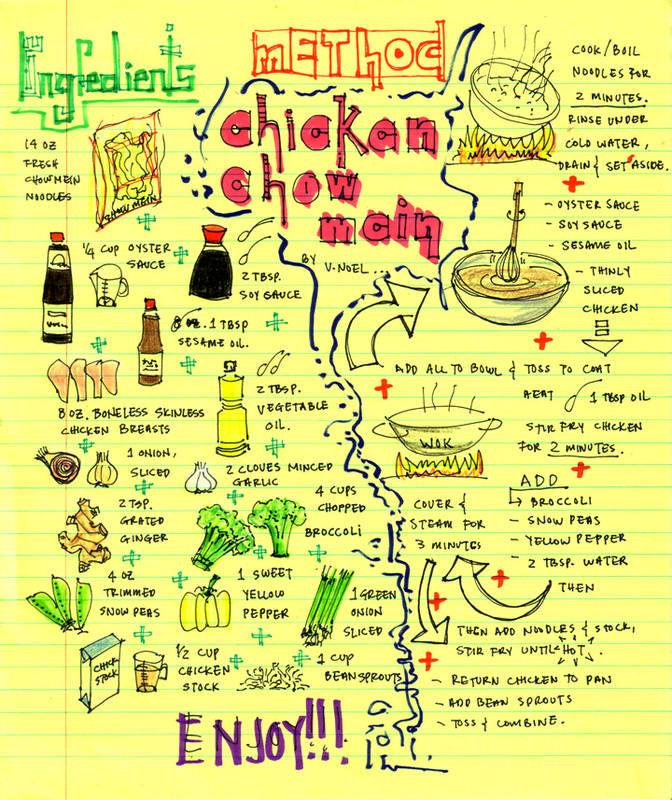 Today’s Visual Recipe is Chicken Chow Mein, courtesy The Cooking Blog. Have a great weekend, and ENJOY! 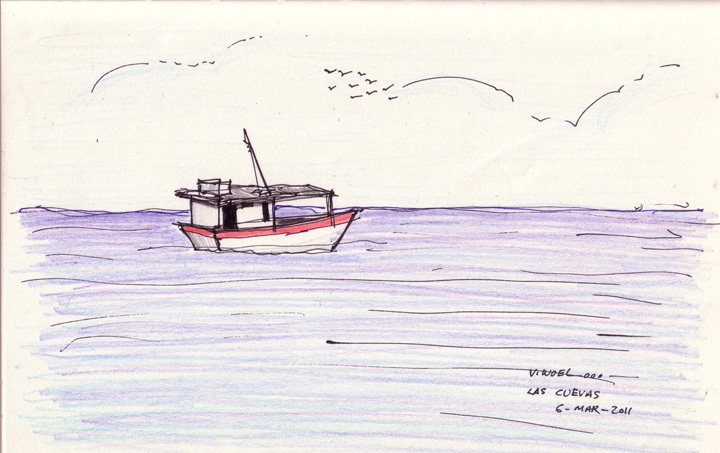 I brought back this sketch of the iSad, the iBad, the iMad, and the iGlad today. Hope you all have a great day, doing good work. 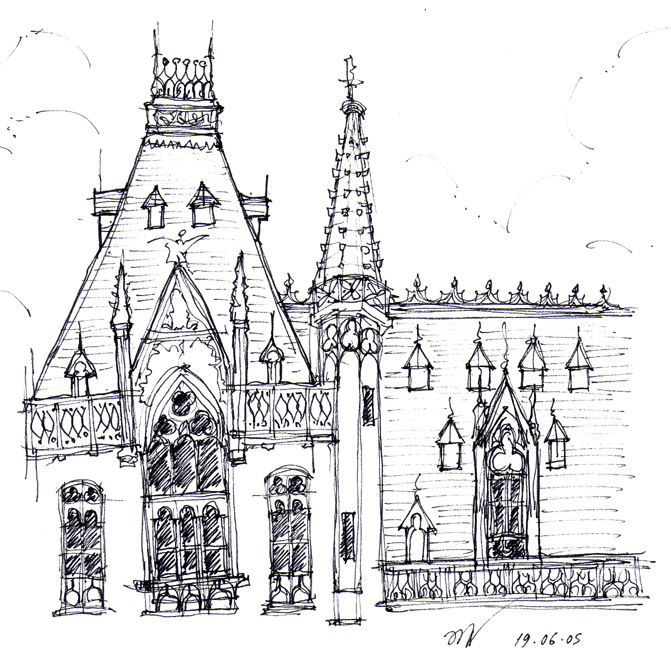 Above is a sketch I did in Bruges, Belgium during my Eurotrip in 2005. 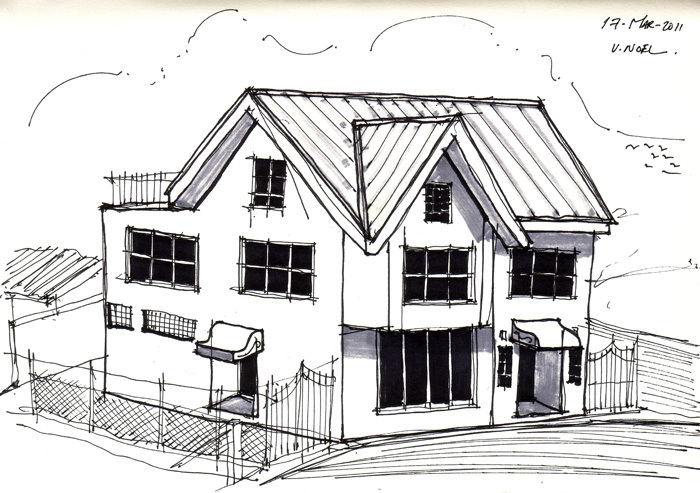 This is a sketch of a building on Mucurapo Road and Link Rd in St. James, Trinidad. It is not a house, but is in fact a little commercial building, with offices I believe. 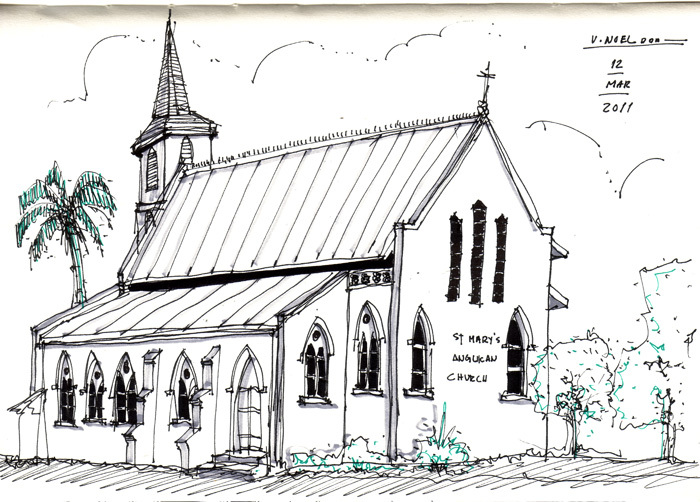 This is a sketch of the St. Mary’s Anglican Church in Tacarigua, Trinidad. 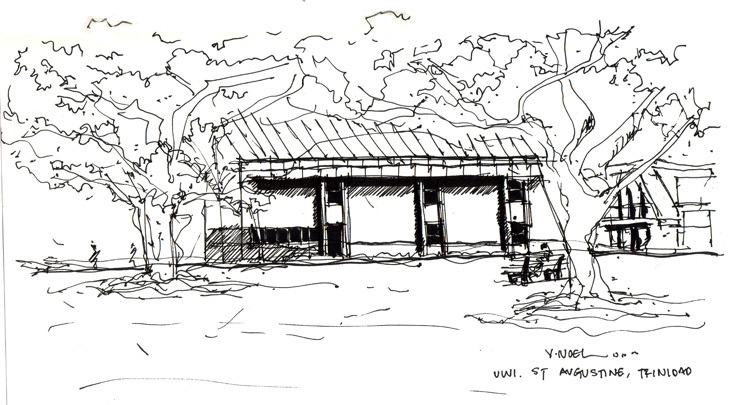 It is obliquely opposite the Eddie Hart Savannah between the Eastern Main Road and the Priority Bus Route.